Ten years ago this month, the Pakatan Rakyat-led Perak government collapsed after the defection of three assemblypersons. The move by two lawmakers from PKR and another from DAP to quit their parties and pledge support for BN brought an end to the state government led by menteri besar Mohammad Nizar Jamaluddin, which lasted less than a year. 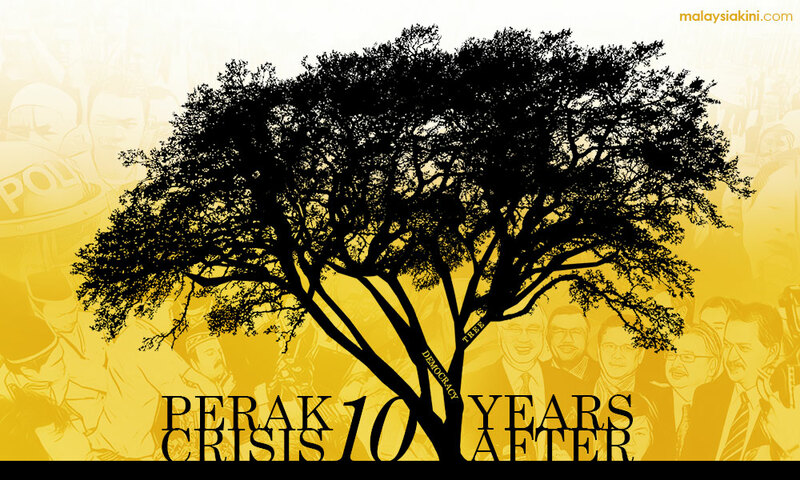 In conjunction with the 10-year anniversary, Malaysiakini revisits what came to be known as the Perak constitutional crisis, its key players and where they are today. A decade on, the crisis remains relevant as a similar scenario was repeated in several states following regime changes in the 2018 general election. In Perak, the tables were turned when two BN assemblypersons backed Pakatan's successor coalition Pakatan Harapan, ending a political deadlock where no political party had a clear majority. Malaysiakini presents here a series of special reports which will be published beginning today until Feb 13. Will an anti-hopping law be effective, and more.